A little over three years ago, a quest came into the Runescape world which revolutionized the way quests could be done. It’s environmentally impeccable, from the music to the filters to the overall feeling of unease and dread. The story is unique, interesting, and on top of all of this, it provided us with the first quest with true replay value. The tragedy here is that many whom I would label as lovers of adventure and lore absolutely loathe this addition to the Quest Log. The tale of which I am writing is Broken Home. Set in the midst of the pass between Varrock and Paterdomus on the River Salve, the mansion in which the quest takes place was written into Runescape’s history as part of the 2014 Hallowe’en event. The expectation for me going into the quest back then was essentially that there would be a typical haunted house in the game which would be replayable and might have a bit of story, but nothing more. In fact, I probably entered the quest expecting even less as I had never once seen Jagex make something that truly was scary in Runescape to that date. Tension and suspense had been done to some degree in quests similar to While Guthix Sleeps and Demon Slayer (at least when I was a noob), but most of that either had to do with high stakes in evolved storylines involving known characters or dangerous combat encounters. Most Hallowe’en events for Runescape are at least somewhat humorous in nature. Part of that has to do with the generally jovial tone that earlier Runescape events played off of and another part has to do with the fact that Classic and early RS2 couldn’t handle big, scary cutscenes or models or filters or even music. I mean, really. They kinda tried it in 2006 with A Soul’s Bane… Didn’t really work out. Sure, it’s scary, just not in the way I think they intended. Broken Home broke new ground, though. This was a game on the brink of being brought into modernity with regards to engine capabilities, a much more advanced soundscape, and they had earned their stripes in writing big, booming quests. It’s the Sixth Age, after all, anything can happen! The quest begins with eery environmental music just outside of the mansion as you speak with a crying girl, telling you that her master’s house in haunted and that the spirit in question has killed several other members of the serving staff. From here on, the sounds of this quest are a real treat. Doors all creaaaak as you go room to room. There’s a clinking of metal, perhaps chains, everywhere you turn in the lowest levels of the basement. Even the grandfather clock in one of the first rooms emits a low tick… tick…. tick… There’s a subtle moaning and wailing of spirits in the background that is pulled off very well accompanied by light organ music with the occasional ringing of melodic chimes. Those chimes give me the willies. Each room is segregated. It’s dark. And when you do encounter windows, the light pouring through is purple. A strange supernatural grow that adds to the other-worldly feeling. Oh yeah, and there’s a creepy old-man ghost named Ormod who just might be in the room you’re about to head into, and if you happen to stumble into a room with him in it a startling musical sting is accompanied by his rather strong attacks. As you progress, the danger and suspense only increase. Windows break, pale filters and damage accompany certain rooms, paintings turn into ghastly versions of their earlier selves, danger lurks around every corner. Eventually, you find out that one of the spirits was actually a huge demon, a writhing mass of ugly that chases you through hallways and, if you’re too slow in running away, it will absolutely wreck you. This encounter is also accompanied by its own musical sting to heighten the tension. 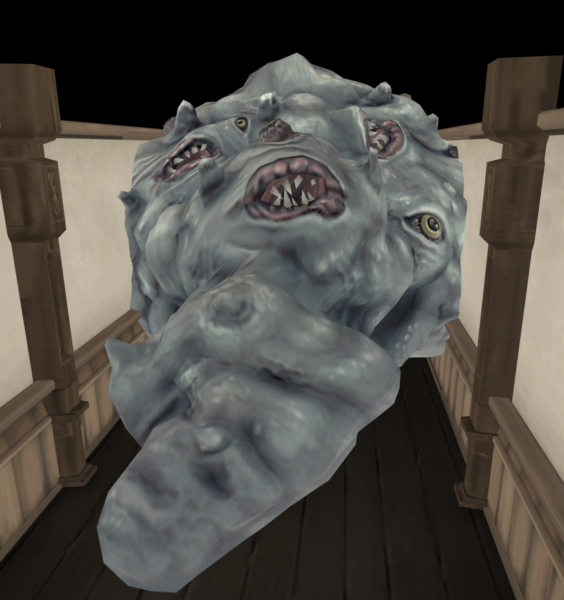 The sound designers even went so far as to add a slight sound of gums smacking and chewing, which is appropriate given that this beast has, like, a hundred mouths. And if that wasn’t enough, that lovely demon consumes the offending Ormod ghost, if you play your cards right. Where are my manners, I haven’t even discussed what makes this quest REALLY fun, the keys! This house is full of locked doors with specific keys that are found in various and sundry ways. Venturing into a room full of skeletons, finding enough gems to put in the eyes of creepy statues, solving puzzles, and more! As I stated earlier, the rooms are isolated and the minimap is blank. You have only one map to navigate, and it isn’t easy the first time without any guidance which, in my opinion, only added to the suspense. I could wax on about this quest, but I think you get the general feeling of what I’m trying to get across. Broken Home was and is a great quest for a multitude of reasons. 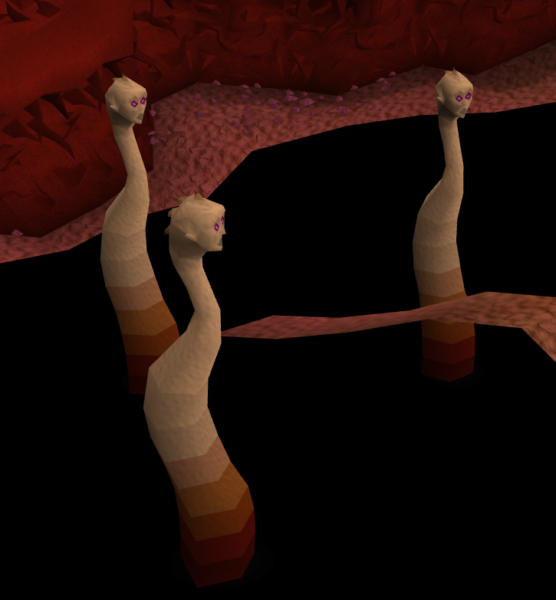 It is the first example of Runescape really using all of their environmental aspects to create a truly scary and tense environment. Every detail was paid attention to. And not only is it just fun to play, but there are perks to diving back in, especially if you really race the clock. Please, if you haven’t yet played Broken Home or maybe are planning to give it another try soon, don’t go into it expecting the same experience you get from any other quest. Part of the fun is the confusion, the frustration of running into Ormod at every new room. Embrace the raised blood pressure and increased heart rate. Enjoy the quest for all of its merits in environment, story, and technique. Preferably when it’s dark out. Keep on questing.